Whether you suffer from chronic pain, you have sustained an injury, you want to lose weight, or you just want to boost your overall well-being, you may have heard about how whole body cryotherapy can help you achieve your goals. Whole body cryotherapy immerses the body to temperatures of about -230 degrees Fahrenheit for a period of two to four minutes. It may seem like exposing yourself to such frigid temperatures is absurd; however, doing so can actually yield some pretty incredible results. Here is a look at some of the amazing benefits that people have realized as a result of whole body cryotherapy treatments. Exposure to such frigid temperatures can have a marked impact on your energy levels. The cold temperature can release catecholamines and neuro-peptides, which will boost your energy. With an increase in energy, your metabolism can increase, which can lead to weight loss. In fact, the weight loss results that can be experienced through whole body cryotherapy have lead many people (including celebrities,) to use it as a regular part of their diet regiment. If you suffer from a condition that causes inflammation in the joints, ligaments or tendons, whole body cryotherapy could very well provide the pain relief that you are looking for. In fact, this treatment was first developed by Japanese scientists as a way to ease the pain in those who suffer from Rheumatoid arthritis. Why does it help with pain relief? Because exposure to extreme cold can help to reduce the swelling in the joints, ligaments and tendons, which can thereby reduce pain. People who suffer from arthritis, tendonitis and fibromyalgia have realized incredible pain relief, thanks to whole body cryotherapy treatments. Many athletes use whole body cryotherapy as a way to improve recovery after exercising. If you are an athlete or you workout, this type of treatment could help to improve your exercise recovery, too. The frigid temperatures that you are exposed to during whole body cryotherapy treatments reduce the aches and pains that can occur as a result of exercising. In fact, the temperatures can help to avoid the development of delayed onset muscle soreness, which can be extremely painful and limit your performance. If you are looking to jump start your immune system, whole body cryotherapy can definitely help. By exposing the body to such exceptionally low temperatures, the hypothalamus gland kicks in its inflammatory processes, which gets the immune system working. Additionally, the exposure to frigid temperature can trick the body into survival mode, which can also step up the immune system. In fact, many people report that whole body cryotherapy treatments have helped them avoid developing common illnesses, such as the flu or a cold. 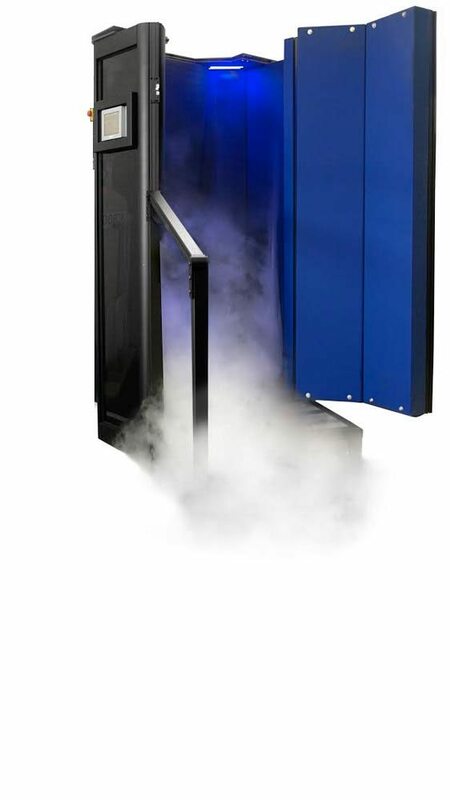 There is no doubt about it; whole body cryotherapy can yield exceptional results. If you are interested in learning more about these benefits, please don’t hesitate to contact Body Beautiful today! We would love to answer any and all of your questions. We are located in East Northport, near the Mill Neck Manor House and the Makamah Pillories. Since starting whole body cryotherapy treatments at Body Beautiful, I have lost an incredible 12 pounds. I have only had five treatments, and the weight just seems to be falling off. I am so amazed by these results and I will definitely continue with my treatments.